Whether you need a Coach or Party Bus for a bachelor party, bachelorette party, or just a night on the town, our 56 passenger Coach will make your party a success! Who wants to go to a party and worry about how you are going to get home? 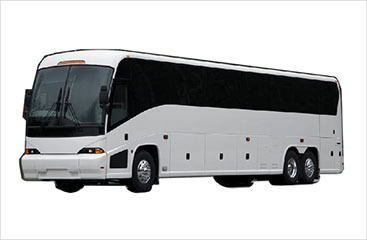 Charter a 56 passenger Coach and let our experienced professionals do the driving for you. The 56 passenger Coach is available to anyone, for any party, at any time nationwide. We pride ourselves on providing you with the best 56 passenger Coach you can find at a rate that you can afford. Charter a 56 passenger Coach today and get your party started in style.